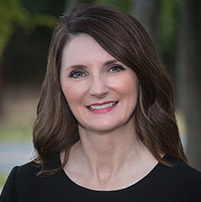 Renee has worked part-time for Hobart Financial Group since its incorporation. She is a graduate of Campbell University where she earned a Bachelor’s degree in Biology. Upon graduation, Renee entered into the pharmaceutical industry as an Analytical Chemist before transferring within the company as a Pharmaceutical Sales Representative. Renee currently serves as Office Assistant where her job duties are multi-faceted. Renee enjoys spending time with her husband and two daughters. In her free time, she volunteers at her children’s school in addition to serving within the community to various non-profit organizations. As a Board of Trustee with the local performing arts center in Charlotte, Renee is an avid performing arts show attendee. Renee also enjoys traveling, decorating, and cheering on the Panthers.